No need just now to speak of that, forsooth. 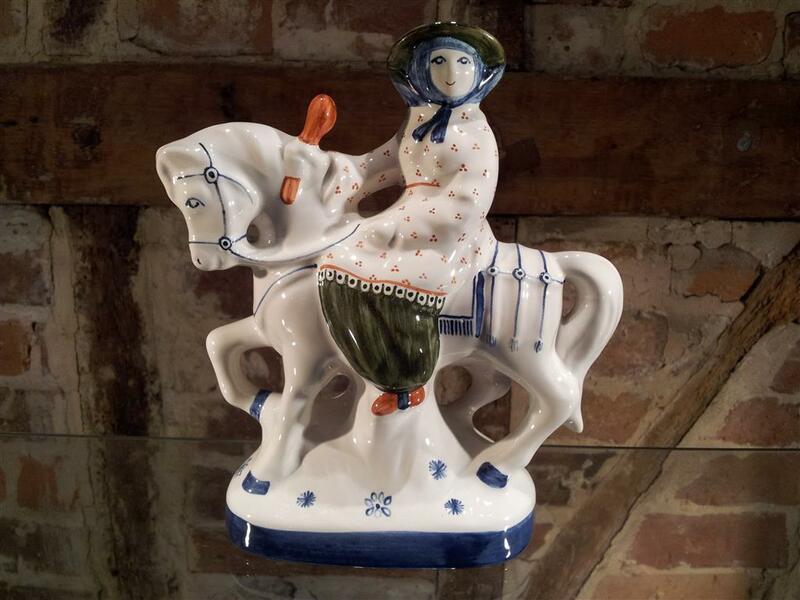 Rye Pottery’s Wife of Bath was the very first figure we designed based on Chaucer’s Canterbury Tales. She continues to be one of our most popular characters in the collection. The Wife of Bath is the only figure in the series modelled by sculptor/painter Gordon Davies and was originally conceived as a one-off character for Canterbury Cathedral’s gift shop. In her early days she was hand-painted only in Cobalt Blue & White, but today her decoration now ties in with the range’s medieval colour palette of Cobalt Blue, Terracotta, earthy Browns and a soft Sherwood Forest Green.